I’ve lost any pesto inhibitions, if I ever had any. 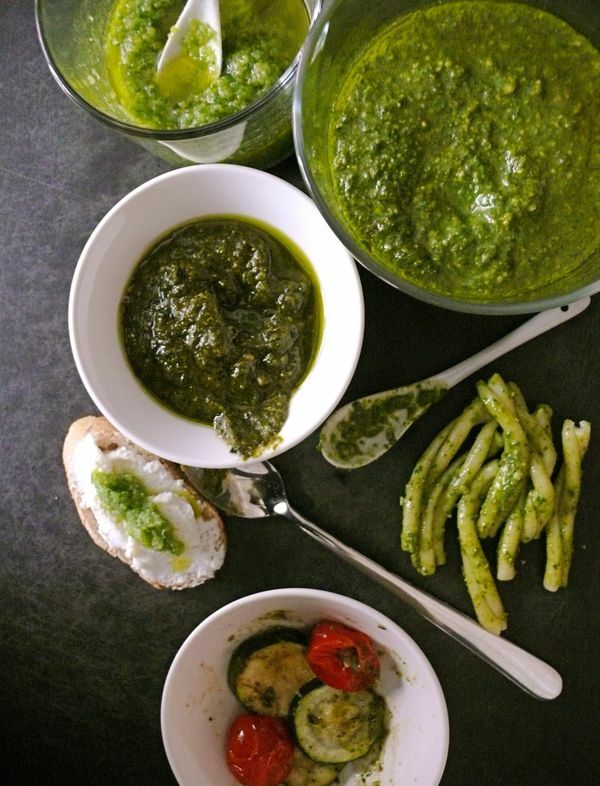 Since a traditional pesto is basil leaves, pounded or pureed with a little garlic, pine nuts, some grated Parmesan cheese and extra virgin olive oil, there’s really not one element you can’t swap out for something similar. I used every herb I could get my hands on to get very different pesto flavours, and in the case of the garlic scape pesto, the scapes served as both garlic and greens! 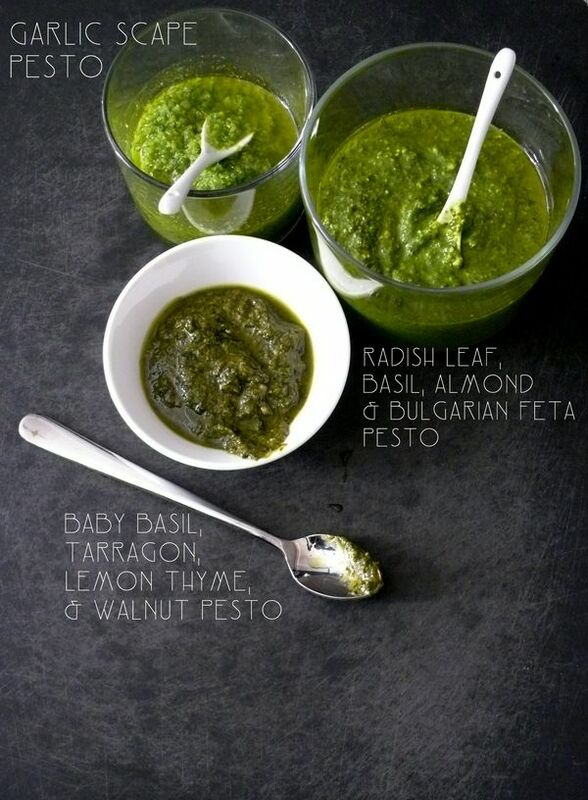 I varied the nuts and cheeses in each pesto but you could even use different oils. Using a little hazelnut oil or a drop or two of sesame oil would change things pretty drastically, and herb-flavoured oils might be a nice way to add a certain je ne said quoi to a standard basil pesto.